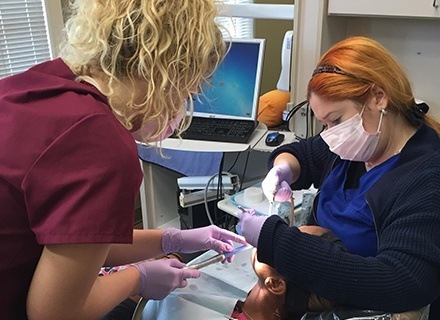 Hands-on Dental Assistant training that prepares you for a rewarding new career! 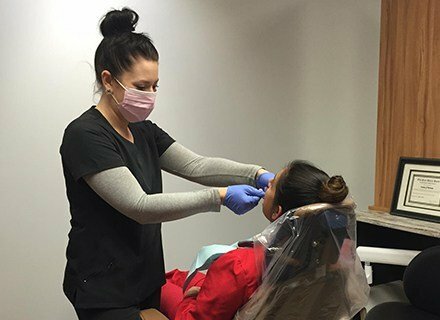 Dental Assistant Pro's mission is to provide students with relevant, hands-on training to prepare them for a rewarding new career. We are committed to helping students improve their lives by giving them the tools they need to begin a career in Dental Assisting. Dental Assistant Pro was founded over 25 years ago on the principle that the best dental assisting training should be taught in a dental office at an affordable cost. Our schools teach basic foundational knowledge and hands-on skills learning, as well as providing Radiology Training and the essential knowledge you need. Dental Assistant Pro's philosophy, combined with an accelerated 10 week course schedule, makes it easier and more affordable than ever to become a Dental Assistant. 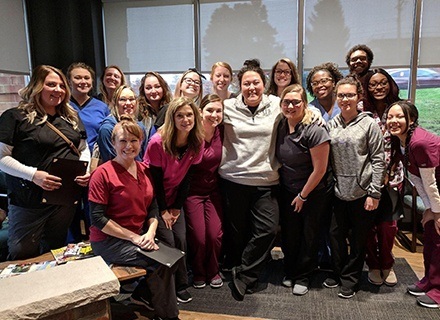 Students at Dental Assistant Pro divide their time between our classrooms and the high-tech dental facility we have at each location. 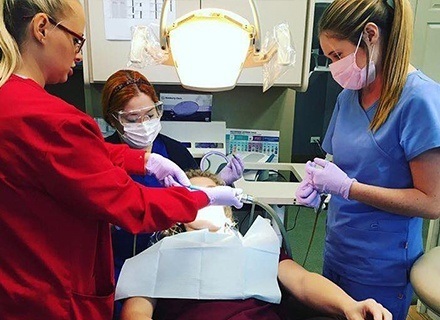 Our staff of experienced and talented Dental Assistant instructors provides the hands-on training and the one-on-one education that you need to excel in a Dental Assisting career. Maybe you’ve always been interested in the world of dentistry, or maybe you’re tired of your current position and simply ready for a career change in a new, exciting direction. 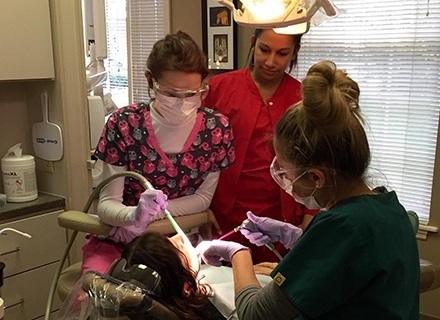 Whatever the circumstances are, dental assisting could be right for you. There’s plenty to enjoy about this job, after all – paid holidays and time off, an interesting environment where no two days are the same, plenty of opportunities for future growth, and more! 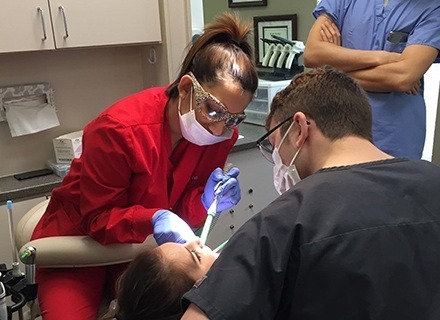 Our courses aren’t just vanity lessons that leave students woefully unprepared for the real challenges of being a dental assistant – you’ll be taught by real professionals who’ve worked extensively in these jobs and in real dental offices that see patients on a regular basis. Plus, you’ll receive the essential certifications that you need to get hired as a vital part of the course. We even share career opportunities with our graduating classes! Dental Assistant Pro doesn’t require expensive student loans, a huge stack of textbooks, or lots of time that you don’t have. After all, we know that you still have to continue going to school or work in the interim! The only commitment we need from you is one day of the week (Saturday) for ten weeks. During that time, you’ll receive over 80 hours of dedicated, hands-on training in a fun and welcoming atmosphere. We’ve heard from many of our students that they couldn’t believe how fast the time went by.